This article contains SPOILERS for Star Wars: The Force Awakens. I would never want to be saddled with the task of writing the next Star Wars movie after Return of the Jedi. The odds are stacked against you. The movie has to remain familiar enough to be recognizably “Star Wars”, while simultaneously justifying an entire superfluous three-film sequel story arc. It needs to be reverent to the past and also build new drama and characters that audiences find worth following. It’s an insurmountable task, and no matter what you do, someone will be disappointed. For a task such as this, you tend to want to go with safe bets, and it doesn’t get much safer than having both Lawrence Kasdan (the writer of what many consider to be the best Star Wars movie: The Empire Strikes Back), as well as J. J. Abrams (a director who recently oversaw the successful revival of another popular star-related franchise) on board. Unfortunately, what came out the other end often feels like just that, a safe bet. The film does very little to enrich the universe or expand on it. In my cynicism, I had sort of expected that the movie would be roughly a beat-for-beat retelling of the storyline of A New Hope. So although it was perhaps somewhat disappointing to be right, it was not surprising to see a new (and bigger) Death Star, a force gifted hero from a desert planet, and an ever-more-wretched hive of scum and villainy. It feels like a film bereft of its own ideas. Too often it seems to draw inspiration primarily from itself and not much else. It never quite devolves to the level of fan-fiction (see The Hobbit films), but it does often feel like familiar territory. I think perhaps that familiarity is what most of the fans want. After the disaster of the prequels, getting fans back on board requires a certain amount of tiptoeing around the things they consider “sacred” about the series. The movie makes obvious attempts to distance itself from the prequels, Neither midichlorians nor complex politicking make an appearance. The Force is as mysterious as always, but unfortunately, the politics are a bit too mysterious to really track. The film tones down on both J.J. Abrams signature lens flares and George Lucas’ buzzing-whirring-chirping background CG elements (although both are still present at times). Overall, it’s a mixture between the things people enjoyed about the original and a modern sensibility. It feels like immersing yourself in a warm bubble bath: you’ve been here before, but it’s still comforting. Arguably, the movie would have been better with fewer nods to the past, but this is not the film I watched. Ones perception of a movie is hugely shaped by their expectations going in. Because I expected the return to familiar territory, I think I was probably put in a position to appreciate the new things in the film. The cast has a strong core of three new characters: Rey, Finn, and Kylo Ren. The rapport and drama between them is enough on its own to sustain a new major story arc. The supporting cast is mostly good, with Po Dameron and BB-8 as standouts, even if BB-8 mostly fills in the role of R2-D2. Star Wars has always been a bit campy and typically sweeping in its generalization of good and evil (the series is practically Flash Gordon), so I think when The Force Awakens hits those notes, it’s not out of character. I don’t necessarily think that the movie gets a pass for “being Star Wars”, but I do have a feeling that expectations for me (and probably most people) are very different for certain types of movies. I don’t expect Star Wars to be a movie that makes me think very deeply or is encouraging of complex analysis. It’s not Mulholland Drive or Birdman, but it’s just a lot of damn fun. I don’t see it as a perfect movie by any stretch of the imagination. It’s easy to pick apart, but I also find it very easy to see why people like the movie. Hell, I liked the movie. I wouldn’t consider myself to be a Star Wars fan, so I didn’t have strong feelings about how a new Star Wars movie SHOULD be. But several moments in the movie excited me about Star Wars in a way that I have not been excited in a long time. That was a refreshing feeling. People desperately want to love Star Wars again. So much of the past 20 years or so has been righteous anger from fans towards George Lucas as he made unnecessary and distracting changes to the original films, as well as a prequel trilogy that fails to capitalize on the tragedy of Anakin Skywalker while also filling in the mysteries of the originals in the most asinine ways imaginable. People are ready, they want to believe in the Force again. They want to be excited again. They are looking for a shred of a reason to care about a new Star Wars trilogy. 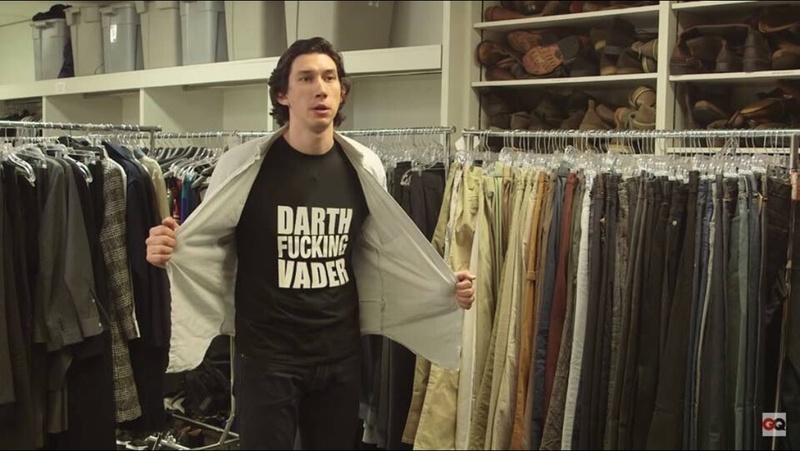 And I think, despite the problems that it has, people mostly got what they wanted out of The Force Awakens. It wouldn’t have hurt to have had more of the new stuff though. So, it’s three months into 2010, and I still haven’t done all of my 2009 movie reviews…So, let’s get on with it. But first, an update on Fij: Work has been stalled a bit recently. But I hope to get back on it soon. The next feature I hope to implement will be a bit difficult to…uhm…implement. Trees. So, I’m sure by now, everyone in the world and their mom has seen Borat. It was undoubtedly a great film, with an honest-yet-scathing look at the heart of America’s xenophobic culture during the last decade. Sacha Baron Cohen was deemed a comedic god, and everyone wondered what he would do next. So Bruno is a little of that, and a lot of something else. Whereas Borat on the surface appeared to poke fun at Middle Easterners, underneath the surface of offensive Kazakhstanian stereotypes, the movie was really poking fun at Americans. Much of the joy that came from the scenes in Borat was the sense that the people Cohen was duping really just deserved what they were getting. They never seemed to see Borat as anything other than innocently uncultured. How do you forgive someone who never apologizes for what they’ve done? So, I guess I’ll just go through all the movies I’ve seen that came out in 2009, including Up in the Air, which I just saw the day before yesterday, so I didn’t exactly see it in 2009, but it’s a film from the last year, so I’ll keep it in here. So, here’s my brief, or maybe not so brief reviews of 2009 in film. It’s pretty difficult to keep a horror movie franchise going for five installments without the whole story becoming stale and boring. Most notably because in the typical horror movie, the majority of the protagonists don’t make it to the end of the movie. Or at least, they don’t make it there alive and in one piece. Once again, my dear Johnny my dear friend. So, yeah. It’s been a bit of a while since I’ve updated the blog. But that’s nothing unusual for me, I suppose. After I dropped out of college, I moved in with my fiancee, and we don’t have internet except for going downtown and sitting outside next to the courthouse and mooching off of the wifi there. So I don’t really get online that much, and when I do, I try to make it for something more important. But I guess I’ve been neglecting this blog, as well as my game design and programming habits. It’s all just sort of gone down the toilet, so to speak. However, I have seen quite a few movies and played a few games since my last post, so I suppose I should give an update on them. Or at least on a few of the ones that I haven’t reviewed. Yeah, I can pretty much see how it’s gonna go for me on here. I don’t get much time to post crap on here, and my life is fairly uninteresting most days. I don’t really have any active game projects at the moment. 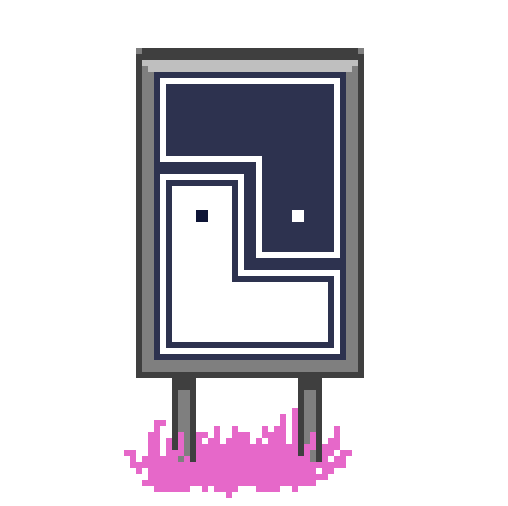 I’m working on my pixel art skills at a board called pixelation. The board is very good about giving criticism, (by which I mean most of the people there are brutally honest) which is amazingly useful to me as an artist. To boot, there are many genuinely talented people who post regular work on the board.